So I have a huge board on Pinterest of things that I have been wanting to make for the holidays. Well, to be truthful, I have many boards of many things that I have been wanting to make and the issue is actually focusing long enough to get anything done. But I have been trying really hard to stay motivated (no thanks to you, hard apple cider!) and I can proudly say I have accomplished quite a bit these past few weeks. 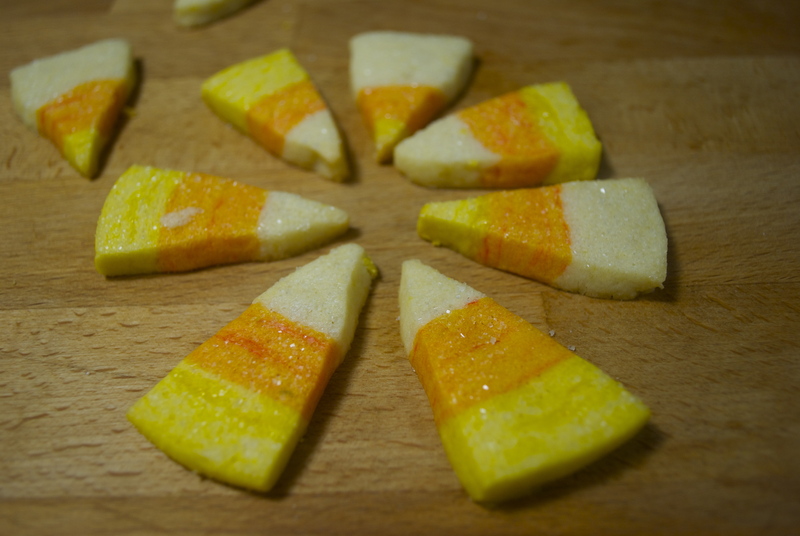 One of the things that I have been wanting to make are these adorable cookies. 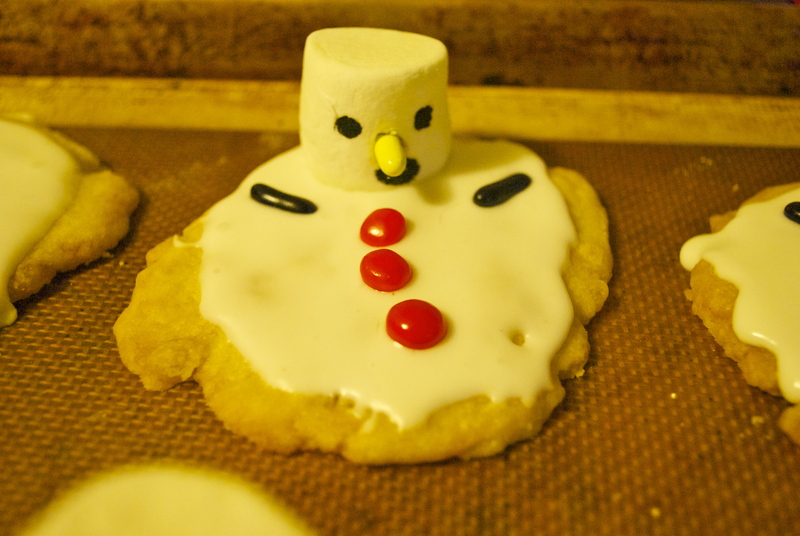 (Now, I guess they were originally done by a gal who used fondant to make the snowman heads, but I liked the idea of marshmallows better.) 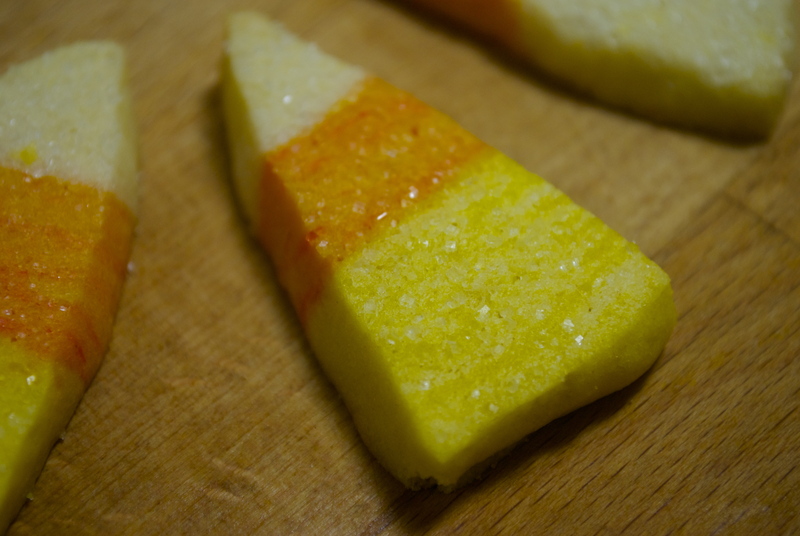 Since I have been wanting to make some sugar cookies too, it was really a two birds/one stone type of situation — which certainly helped encourage me to get busy baking. The first step was to make the cookie dough. Every year I try a different recipe for sugar cookies, on a constant quest to find the perfect one. So far I’ve found many I like but none that captivated me enough to use regularly. 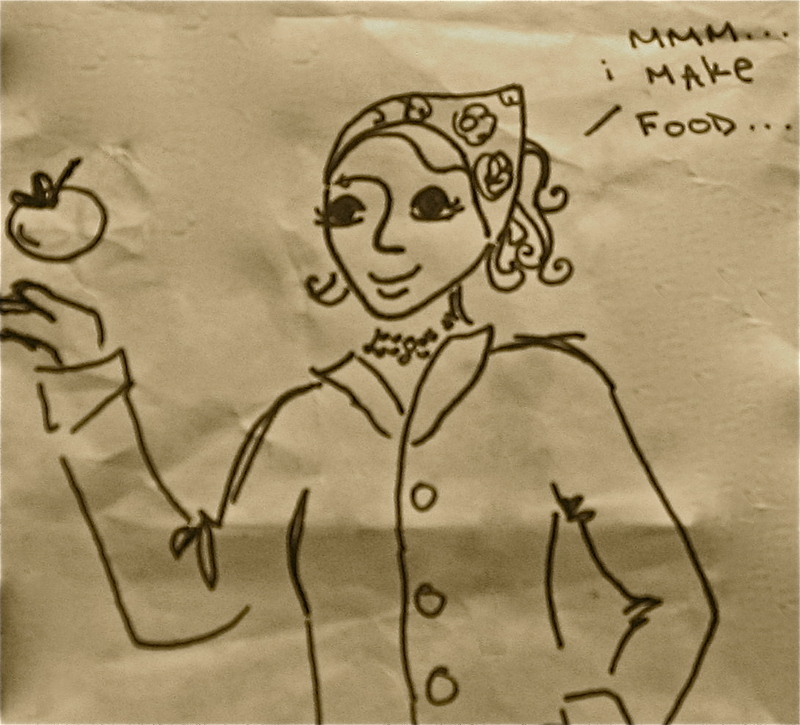 This year I decided to try this one from my huge binder of recipes and it worked out splendidly. In fact, I will definitely make this one again sometime — I loved the candied ginger in it and the dough was easy to work with. At any rate, check out this awesome snowman graveyard! 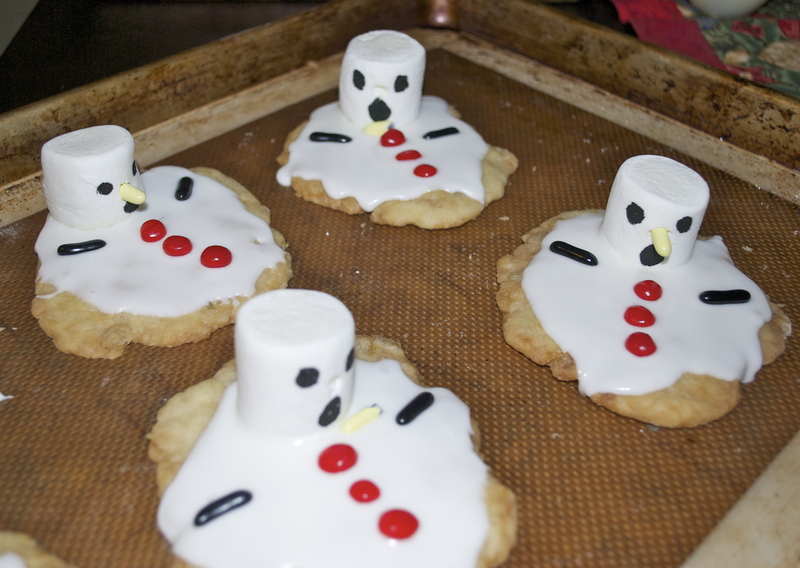 Adorably tortured snowmen — Calvin would be proud! 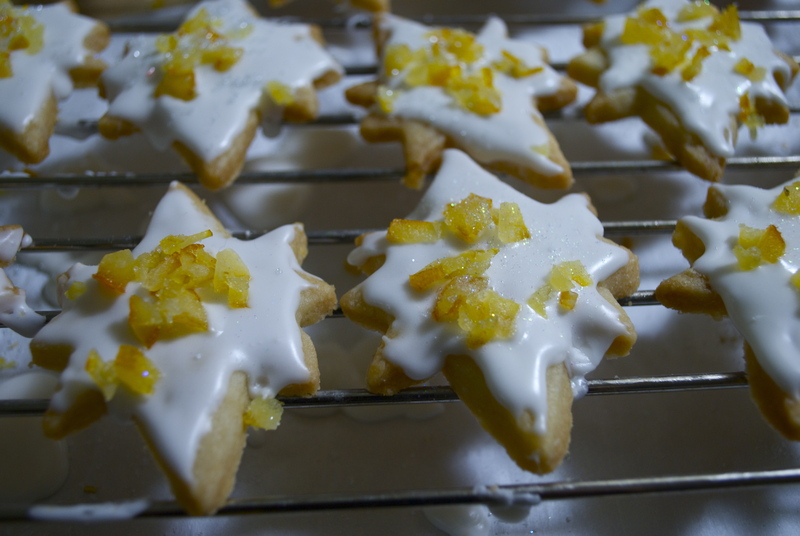 I also did some regular cut-out cookies with the dough and topped them with minced bits of candied orange peel. They were fantastic! There’s a little orange zest in the dough so it was really a perfect pairing. I loved the way everything came out, but I am (sadly) more excited that I can move two “pins” from my “need to make” board to my “missions accomplished” board. Oh Pinterest. You are a cruel mistress.